The following text, published in 1942 or 1943 under the title “Baron von Ungern Venerated in Mongolian Temples,” deals with one of the 20th century’s most enigmatic figures whom I first encountered in the pages of Ferdinand Ossendowski’s brilliant Beasts, Men, and Gods . The most recent and complete biography of Baron Ungern-Sternberg, James Palmer’s The Bloody White Baron: The Extraordinary Story of the Russian Nobleman Who Became the Last Khan of Mongolia  (Basic Books, 2009), performs the impossible feat of making his life boring, and is also repugnantly politically correct. Ungern-Sternberg’s life is not just the stuff of legend, but also of video games (Iron Storm  ), graphic novels (Corto Maltese in Siberia  ), and novels (Buddha’s Little Finger  , The Ninth Buddha: A Novel of Suspense  , The Fuller Memorandum  ). If there is not already a Black Metal song about the bloody baron, it seems inevitable that there will be. Recently, there has been a spate of writings about a figure who, in spite of his extraordinary stature, had passed almost unnoticed in the tumult following the First World War: Baron Roman Nikolai Maximilian von Ungern-Sternberg. Ferdinand Ossendowski was the first to write about him, with recourse to great dramatic effects, in his famous and quite controversial Beasts, Men, and Gods  . It was followed by a “fictionalized” life of Baron Ungern-Sternberg, published by Vladimir Pozner under the title of Bloody Baron: The Story of Ungern-Sternberg ; then, by another fictionalized life by Berndt Krauthoff: Ich befehle: Kampf und Tragödie des Barons Ungern-Sternberg. These books seem, however, to give an inadequate image of Ungern-Sternberg, whose figure, life, and activity were complex and enigmatic, thus leaving great latitude to the imagination. René Guénon, the famous Traditionalist writer, contributed to a better knowledge of the baron by publishing passages of letters written in 1924 by major Alexandrovitch, who had commanded the Mongolian artillery in 1918 and 1919 under the direct orders of Ungern-Sternberg; and this evidence, of undeniable authenticity, leads one to think that the authors of these fictionalized lives often depended on inaccurate information, even with regard to the end of the baron. 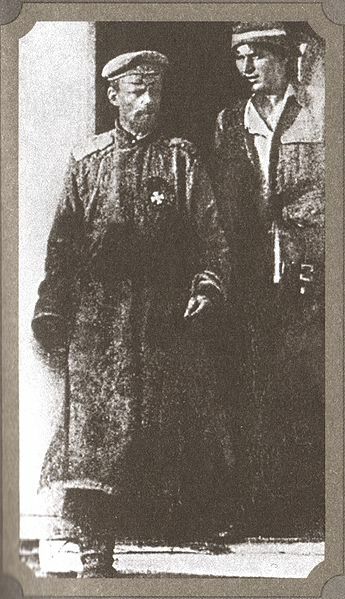 When the Bolshevik Revolution broke out, Ungern-Sternberg, a Russian officer, raised a small army in the East, the “Asian Calvary Division,” which was the last to be commanded by Russian troops after the defeat of Wrangel and Kolchak, and accomplished almost legendary exploits. With these troops, Ungern-Sternberg liberated Mongolia, then occupied by Chinese troops supported by Moscow; he made an extremely daring rescue of the Dalai Lama [Bogd Khan], who declared him the first prince and regent of Mongolia and gave him the title of priest. 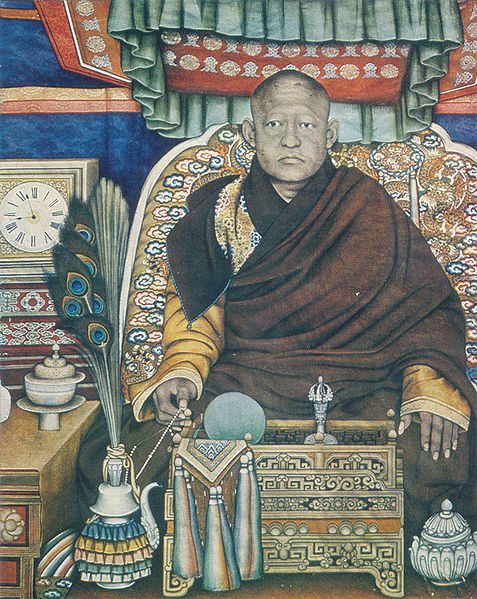 Ungern-Sternberg entered relations not only with the Dalai Lama [in this case, Evola is referring to the 13th Dalai Lama of Tibet, with whom Ungern-Sternberg was in contact], but also with Asian representatives of Islam and personalities of traditional China and Japan. It seems that he cherished the idea of creating a great Asian empire, based on a transcendent and Traditional idea, to fight not only against Bolshevism but also against all of modern materialist civilization, of which Bolshevism was for him but the most extreme consequence. All of which leads one to think that Ungern-Sternberg, in this respect, was not simply following his own initiative, but rather was being directed by someone who was, so to speak, in the shadows. Baron Ungern-Sternberg’s contempt for death exceeded all limits, and consequently he had a legendary invulnerability. Leader, warrior, and strategist, the “bloody baron” was at the same time equipped with a superior intellect and a vast culture, and, in addition, with a kind of clairvoyance: he had, for example, the ability to infallibly judge all those upon whom he fixed his gaze and to recognize in them, at the first glance, the spy, the traitor, or the man most qualified for a given station or function. Regarding his character, his comrade in arms Alexandrovitch writes: “He was brutal and pitiless as only an ascetic can be. His insensitivity exceeded all that one can imagine, and would seem to be discoverable only in an incorporeal being, with a heart as cold as ice, knowing neither pain nor pity, neither joy nor sadness.” It seems ridiculous to us to attempt, like Krauthoff, to attribute these qualities to the effects of the tragic death of a woman whom Ungern-Sternberg might have loved. It is always the same story: modern biographers and novelists never cease to introduce the obligatory topics of love and woman, even where it is least justified. 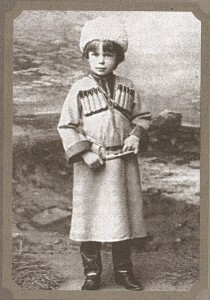 Even if one takes into account the fact that Ungern-Sternberg was Buddhist by family tradition (it was the religion to which one of his ancestors who had gone to make the war in the East had converted), it all leads one to think that the qualities indicated by Alexandrovitch relate, on the contrary, to a real superiority, and that they are those that appear in all who are in contact with a genuinely transcendent, superhuman plane, to which ordinary standards—the common notions of good and evil, and the limitations of sentimentality—no longer apply, but where the law of the absolute and inexorable action reigns instead. 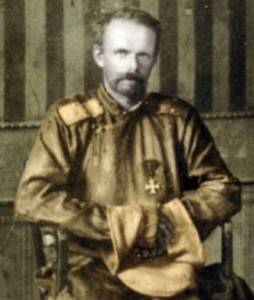 Baron von Ungern-Sternberg could probably have become a “man of destiny” if the circumstances had been favorable to him. But they were not, thus his existence was like the tragic and fleeting flash of a meteor. 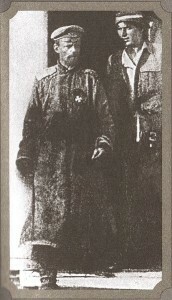 After having liberated Mongolia, Ungern-Sternberg marched on Siberia and attacked the troops of the “Red Napoleon,” the Bolshevik general Blücher. He became the terror of the Bolsheviks, whom he fought pitilessly, until the end, even when he saw the fight was hopeless. He obtained important successes, occupied several cities. Finally, in Verchnevdiusk, attacked by Bolshevik forces more than ten times greater than his own intent on finishing their last antagonist, he was forced to fall back after a long and brutal fight. However, the various versions agree on one detail, i.e., on the fact that Ungern-Sternberg would have known the day of its death with exactitude. Moreover, a lama had predicted that he would be wounded—during the attack of Red troops at the Dauria station. And these are not the only elements that make the strange figure of the “bloody baron” so suggestive. There is a curious testimony on the effects that, at certain times, his glance produced on those whom it fixed: “He felt an unknown, unexplainable, feeling of terror: a kind of sound filled his chest, similar to that of a steel band that is tightened more and more.” The fact is that, for those who were close to him, his prestige and the irresistible character of his force of command took on something of the supernatural and thus distinguished him from a simple military leader. One more singular fact: according to what Guénon reports, enigmatic phenomena, “psychic” in nature, occurred recently in Ungern-Sternberg’s castle, as if the force and the hatred brandished against Red subversion by the one considered in Tibet to be a manifestation of the “god of war” had survived his death, in the form of restless residues of this tragic figure, who has, in more than one aspect, the qualities of a symbol.